A fabulous collection of beautifully made timber doll houses which will thrill, delight and enchant children of all ages, for hours and hours. 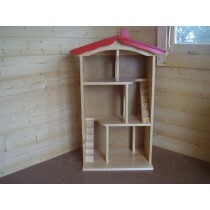 Each Doll House is carefully crafted from commercial grade MDF timber and hand painted in striking detail. The fronts of the houses are fully hinged and easily swing open to reveal room after room also painted in great detail. 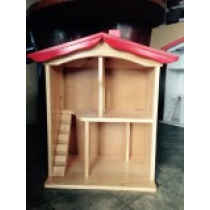 The Doll Houses are amazing in detail yet wonderfully functional show pieces and are definitely one of the best in the market.